New Venturing uniform web belt with buckle. The webbing is black nylon and measures 1-1/2″ wide and fits up to a 60″ waist. 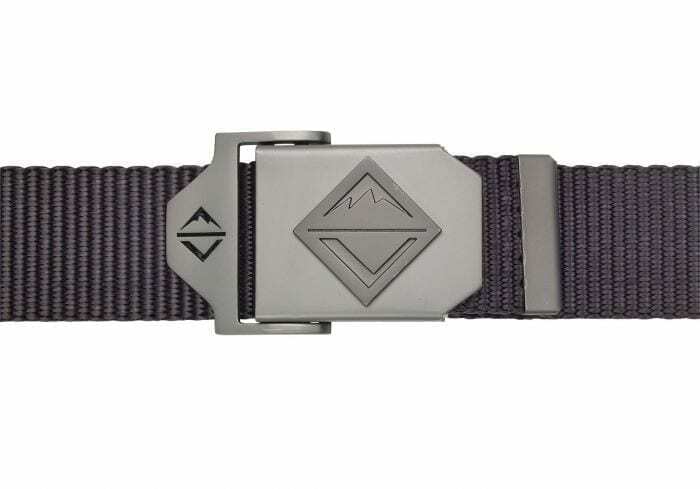 The buckle features the Venturing logo on the face and the friction closure has a cut out Venturing logo. A normal roller buckle has side tabs to push and pull for opening and closing. Our newly designed buckle has been updated for easier use with a mechanical flip up and down closure.